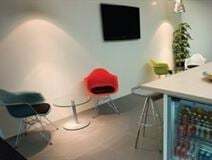 This business centre has offices to suit all sizes of companies, with over 200,00 square feet available and offices ranging from 1-50 person. There is ample on-site car parking and the work centre is situated near to the M60. The work space has meeting and conference rooms available to tenants at a discounted price. The business centre is located a short drive from both Oldham and Ashton-under-lyme and also near to Manchester City Centre. This is a business centre offering managed units in a variety of sizes and configurations, suitable for workshop, storage and studio use. Located a mile south of Ashton-Under-Lyne town centre, close to the M60, with direct links to Manchester's extensive major road network and airport. The town has a railway station which runs direct services to Manchester Victoria, making the city even more accessible. 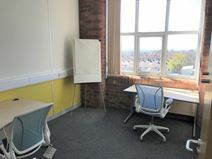 Situated in the heart of Ashton-Under-Lyne"s industrial area these ready-to-use fully furnished workstations are ideal for local and national businesses looking for serviced office space with direct links to nearby Stockport and Manchester. 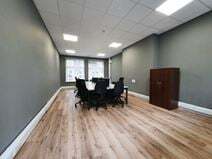 This excellent workspace offers quality first floor office space above the shops of the imposing Clarence Arcade, Ashton-Under-Lyne. Located in the 'old town' area close to Ashton-Under-Lyne station, from which Manchester Victoria is a fifteen minute rail journey. The location offers easy access to the M60 and Manchester Airport, whihc has flights to a number of domestic and international destinations. Transformed from an iconic Victorian public swimming pool into a dynamic creative community this business centre is spread opver a total of 4,500 sq. ft., with high-spec offices ranging from 135 to 1,025 sq. f.t, suitabloe for up to 12 people. Also available is contemporary open plan space suitable for hosting conferences and workshops for up to 50 people. All with great transport links to Manchester Piccadilly, Ashton Under Lyne and Manchester Airport.